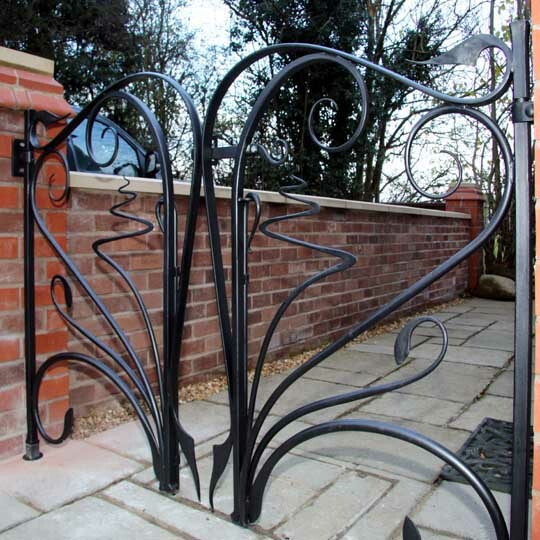 These steel garden gates were commissioned by a customer with a passion for the Art Nouveau period. 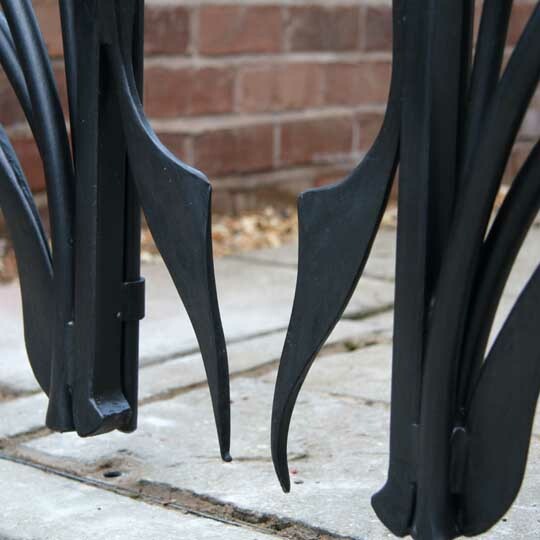 Their design uses a bare minimum of straight lines and features long elegant forged tapers throughout. 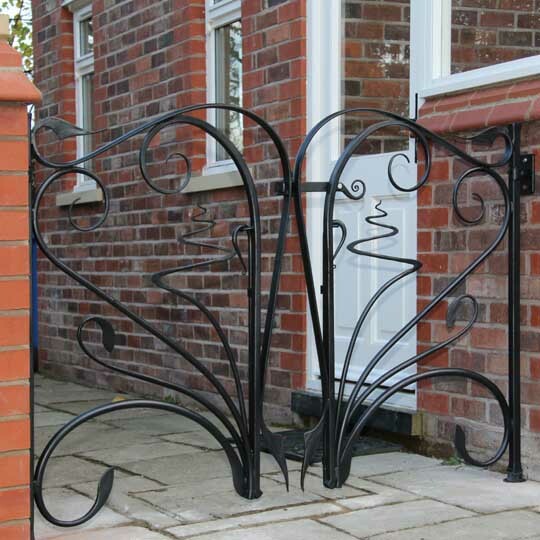 The gates avoids the use of a conventional frame as such giving them a sense of movement and vitality. 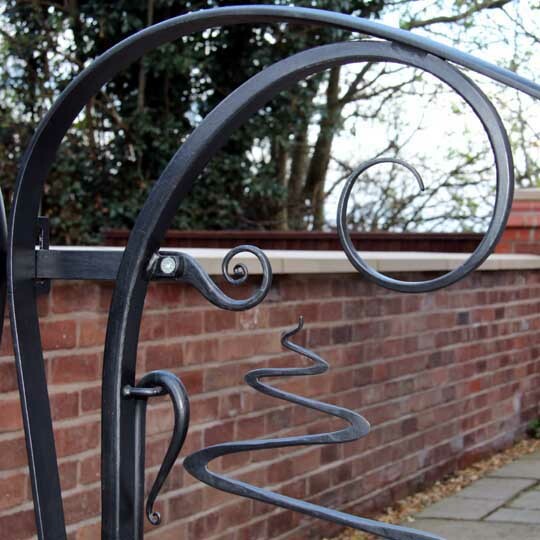 The more functional parts of the gates such as the drop bolts and catch are designed to blend in with and complement its flowing curvilinear design. 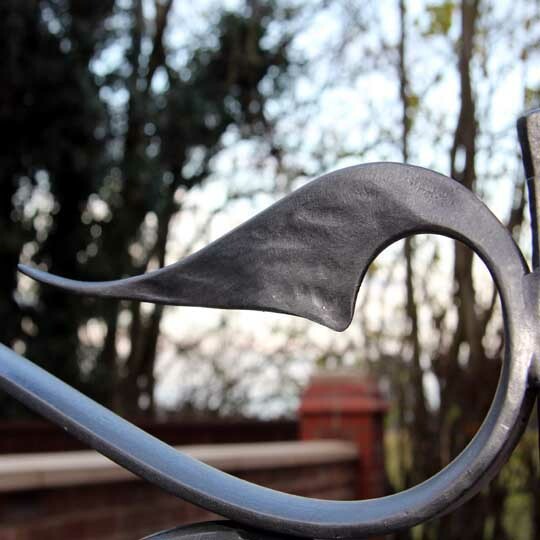 The gate was first galvanised, then finished with hand rubbed graphite enhanced paint. 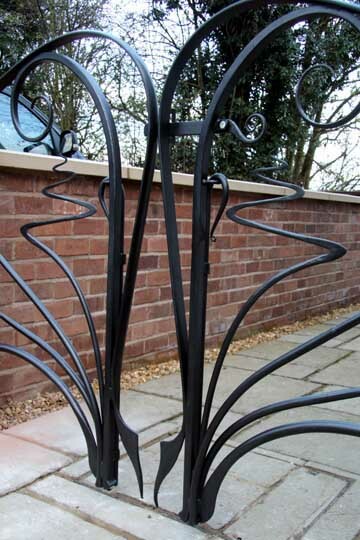 This gives it a subtle silver-black finish and highlights the texture of the forged steel.